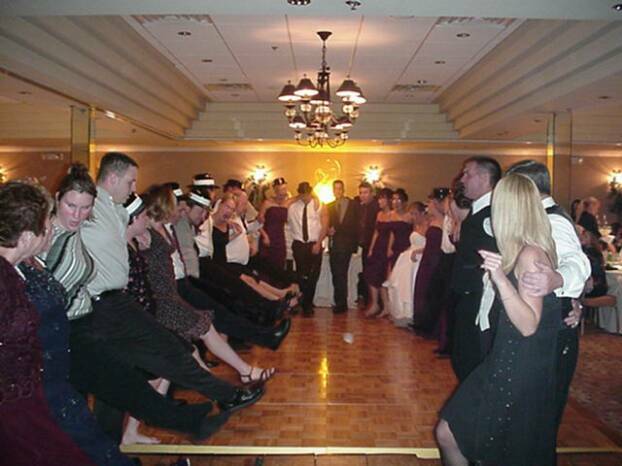 Since 1994, That's Entertainment DJs has been providing exceptional mobile disc jockey services to the tri-state area. With over 23 years of experience, That's Entertainment DJs will make your wedding, party or special event one to remember. Our business is based off of 100% referrals only! That's Entertainment DJs provides the best in musical selections with superior sound quality. We update our equipment every year so music always sounds it's best. We specialize in Weddings, Birthdays, Graduations, Socials, Anniversaries, School Dances, Fund Raisers, Block Parties, Proms, Bars & Night Clubs. For every wedding, we include 2 disc jockeys and a state of the art sound system for your special day. We will get out on the floor with you and your guests to teach dances, emcee and make any other announcements or fulfill any special requests you may have. With a selection of over 50,000 songs spanning from the 1940's to present, we have music to fit everyone's tastes and needs. Our catalog of songs includes swing, oldies, Motown, disco, funk, r&b, rock, alternative, country, dance, hip-hop, electronica & house. Every month we continuously update our catalog songs with the most recent songs to hit the radio. We also offer Karaoke, which is a great way to celebrate a Graduation, Birthday, Company Party, Picnic, Social, After Wedding or After Prom Party.